We are looking for a logo that will be going on our first full length album. We want a logo that best describes our music, refer to [login to view URL], [login to view URL], [login to view URL], and [login to view URL] to get a feel for our genre. We are considered an instrumental, acoustic fusion band using 2 acoustic guitars, a violin and, a cajon to incorporate various genres. 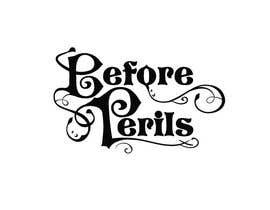 We are looking for the logo to say 'Before Perils' in a simple yet striking manner. Styles may include abstract and typography. Not picky on colors, but must have the same or similar effect if it is in single or various colors. Please keep in mind we are an all acoustic and instrumental band. We like the look of Opeth's logo, simple yet complex, but definitely memorable. We appreciate your help and consideration in assisting us in this task!